John Haines will be presenting a paper at the Stainless Steel World Conference in Maastricht on 28 November 2017. 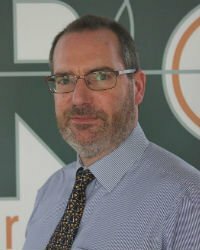 John Haines, Senior Welding Engineer at Arc Energy Resources, will be presenting a paper at the Stainless Steel World Conference in Maastricht on 28 November 2017 where he will be joining with other industry specialists. The conference covers the whole spectrum of the application of stainless and other corrosion resistant alloys. Arc Energy specialises in the deposit of weld overlay cladding and specialist fabrication and John will be presenting the company’s experiences in the use of weld overlay cladding. In addition, Arc Energy Resources will also be presenting its services at the associated exhibition on stand S600.